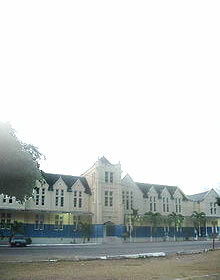 "The Morant Bay Courthouse, which was destroyed by fire on Monday, February 19, 2007, is an importmant part of St. Thomas's history. 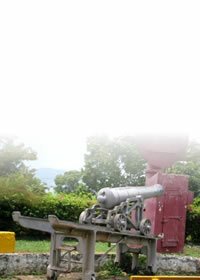 It was the scene of the Morant Bay Rebellion of 1865." The riot began as a protest by local citizens against poor economic and social conditions in the country. On October 11, 1865, two large organised bands of people, who were mainly cultivators, marched into Morant Bay, armed with sticks and cutlasses. The local militia and police were drawn up in front of the building and the Custos addressed the crowd from the portico. This, however, was to no avail and on the mob's advance the militia opened fire. In the ensuing violent confrontation the courthouse was burnt and the Custos, Baron Von Ketelholdt, along with several other militia men were killed. This was followed a period of hectic activity on the part of the authorities of the island. Governor Eyre declared Martial law. 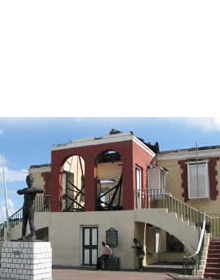 Paul Bogle, leader of the rebellion, was hanged. 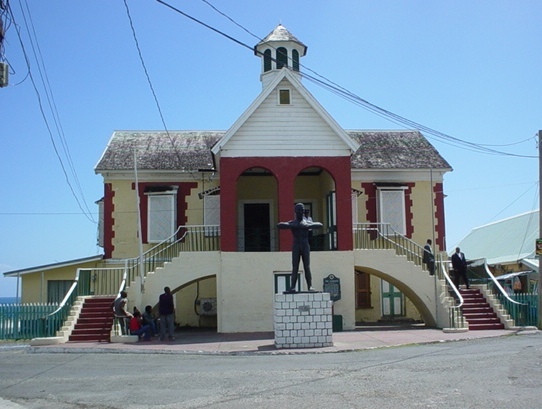 George William Gordon, a politician and member of the House was removed to Morant Bay, court marshalled, and executed for his alleged involvement with Bogle.